Autism shows a high degree of comorbidity with anxiety disorders. Adolescence is a time of increased stress and vulnerability to internalising problems. This study addresses for the first time the degree of genetic and environmental overlap between autistic traits (total measure and subscales) and internalising traits in a community-based adolescent twin sample. 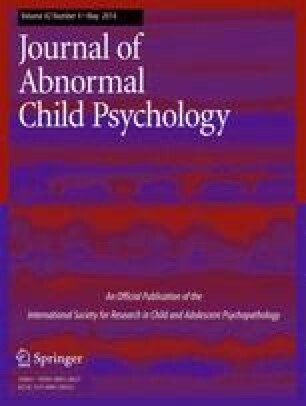 Parents of 12-14-year-old twins (N = 3,232 pairs; 3,460 males, 3,004 females) reported on the twins’ internalising and autistic traits. Autistic trait subscales were created using principal component analysis. Bivariate twin model-fitting was conducted. Autistic and internalising traits correlated moderately (r = 0.30). Genetic influences on individual traits were substantial but genetic overlap between traits was moderate (genetic correlation: males = 0.30, females = 0.12). Shared environmental influences were low for internalising traits and moderate for autistic traits, and showed considerable overlap (shared environmental correlation: males = 0.53, females = 1). Nonshared environmental influences were moderate for internalising traits and low for autistic traits and showed low overlap. A multiple component solution was found for autistic traits and of the derived subscales, autistic-like ‘Social Unease’ showed the most phenotypic and genetic overlap with internalising traits. The online version of this article (doi: 10.1007/s10802-013-9796-y) contains supplementary material, which is available to authorized users. We are indebted to participants of the Twins Early Development Study (TEDS) for making the study possible. TEDS is funded by MRC grant G500079. AS was funded by the Bloomsbury Colleges during this study. We kindly thank Robert Plomin for the use of the TEDS data.